There are tons of great new audiobooks coming out every day. With all these titles to choose from, it can be hard to decide where to start when you’re searching for something new to listen to. Audiobooks published through big companies often get most of the attention, but there are plenty of amazing independent authors creating wonderful books who fly under the radar. To help you find the best of these hidden gems, every month I’ll be writing about two or three awesome indie authors, and I’ll make some suggestions about their best audiobooks to try. Ruby Dixon is probably best known for her Fireblood Dragon romance series (the first book is Fire in His Blood). The series begins with an earth that has been decimated by invading shape-shifting dragons. Set in this dystopian world, the main female character of each book must find a way to survive through “taming” a dragon. But even as men, these shape-shifting dragons have no interest in being tamed! The series comprises five books, each of which can be listened to as a standalone, but which take place in the same world with returning characters. You might recognize this name if you’ve listened to audiobooks such as Waking the Tiger or Empires of Light. In addition to working as an actor, playwright, and screenwriter, Chris is the vocal talent behind over 200 audiobooks to date, and has received four AudioFile Earphones Awards for his work. As impressive as that is, today I’m writing about his narration of his own book, The Nightmare Room. Though he’s written fourteen plays for the stage, this is Chris’ first novel, telling a story of an audiobook narrator, Peter, and his wife, Hannah, who move from bustling New York to small-town Midwest. (Talk about writing what you know!) However, strange things start to happen in their new home – a house purchased by Peter’s father years before. Strange voices mar his audio tracks, mysterious shadows darken the house, and a malevolent presence appears. Can Peter face these threats and save his family? 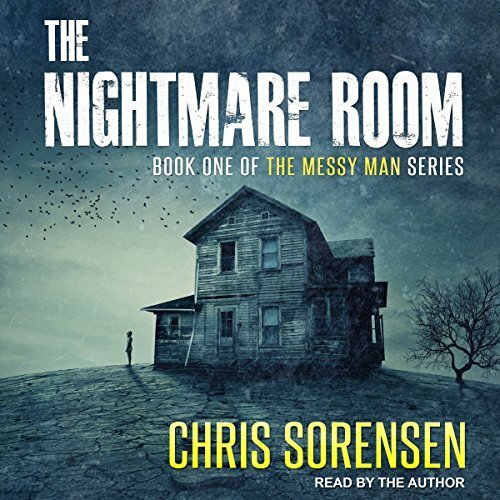 It’s an extra delight to hear Chris voice his own novel as a professional narrator, bringing fine and detailed characterizations to this creepy tale. Ruby Dixon is an extremely prolific New York Times and USA Today bestselling author (35 books and counting! ), best known for her paranormal romance. For any of you who might be new to this fast-growing subgenre, paranormal romances frequently take place in a sci-fi or fantasy setting and often involve relationships between humans and shapeshifters, vampires, ghosts, or aliens. Despite the unfamiliar environment, these books remain relatable, with the focus on heroines and heroes who face challenging and sometimes desperate situations, while fighting attraction to each other in the face of clashing cultural expectations or norms. What makes these romances fun and escapist are the exotic settings and imaginative characters. If you’re looking for something cool and alien, rather than fiery dragon romance, try Ice Planet Barbarians, the first book in Dixon’s alien romance series of the same name. Ever wondered if you are living your life to its fullest? Author and researcher Jevan Pradas attempts to answer this question in The Awakened Ape: A Biohacker’s Guide to Evolutionary Fitness, Natural Ecstasy, and Stress-Free Living. Much like the intriguing title of his book, Jevan is not your average self-help guru. He lived for a time with hunter-gatherer tribes in the Amazon and studied the evolutionary foundations of health and mental well-being. He currently works as a Brain Trainer, which he describes as similar to being a physical therapist for those with cognitive disabilities. even how to properly use the restroom! The Awakened Ape was a finalist for the Health and Wellness category of the 2018 Next Generation Indie Book Awards. Who are your favorite indie authors?